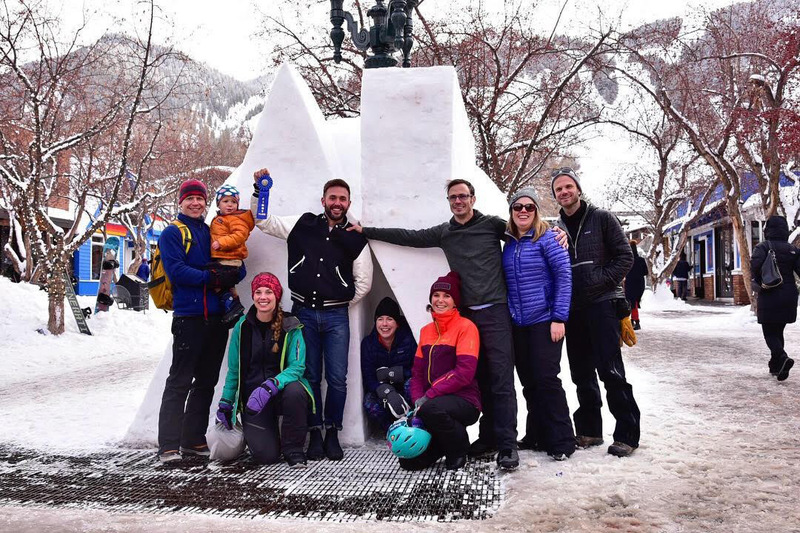 Team "Peak Season" Wins First Prize! 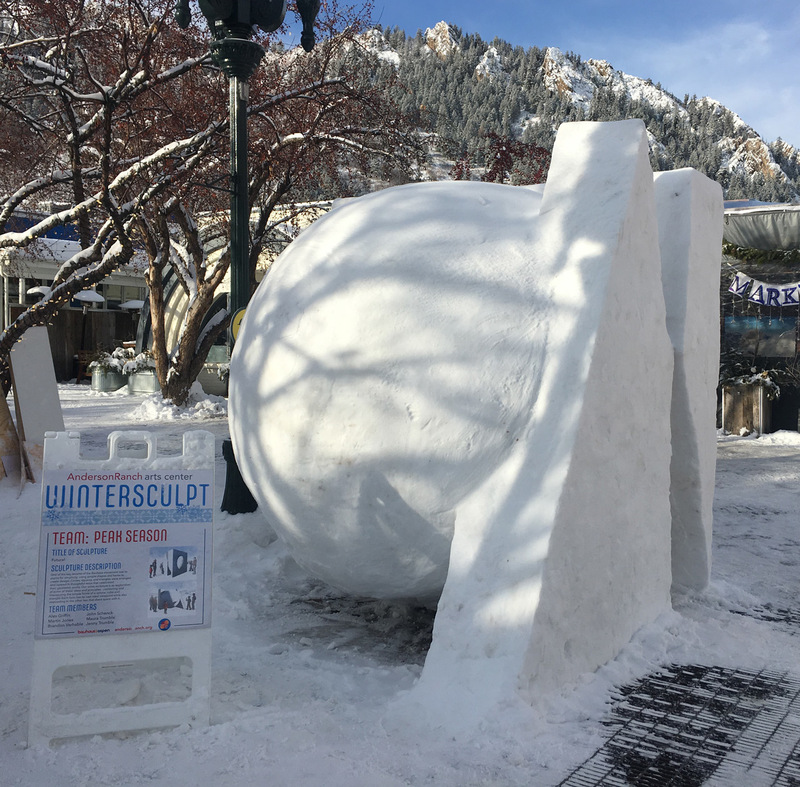 CCY team members took first place in Wintersculpt—a 48-hour snow sculpting competition, hosted by Anderson Ranch Arts Center, that is part of the City of Aspen's annual Wintersköl festival. 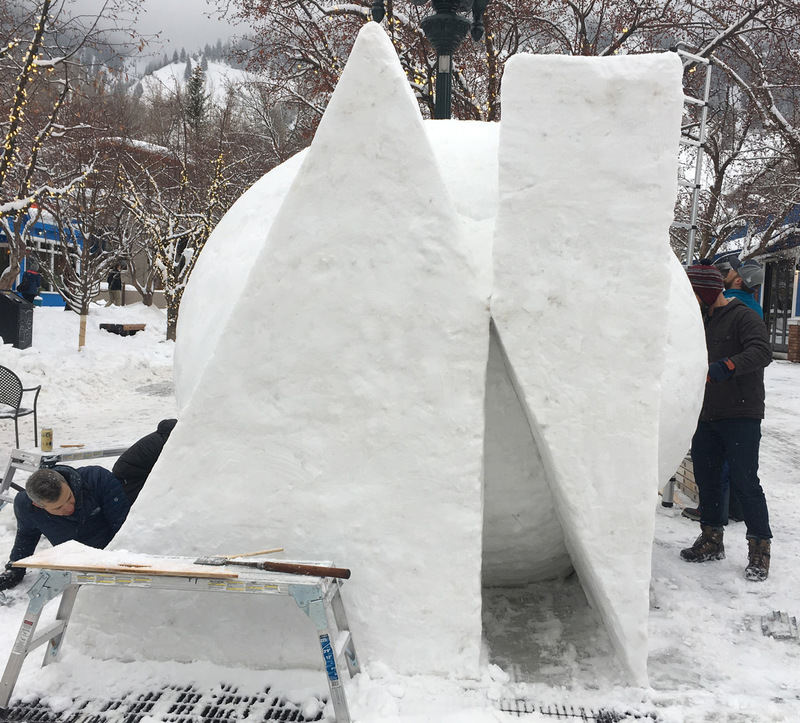 The 2019 "Aspen, Original by Design” theme is inspired by and commemorates the centennial of the Bauhaus, a modernist design school that originated in Germany and has unique ties to Aspen through the legacy of artist Herbert Bayer. The competing teams’ sculptures were required to reflect Bauhaus design principles and highlight the lasting influence Bauhaus has had on contemporary art, architecture, and graphic design. One of the key goals of the Bauhaus movement was to use simple shapes and forms to create design. Circles, squares, and triangles were arranged and layered in thoughtful ways that celebrated their geometric purity. 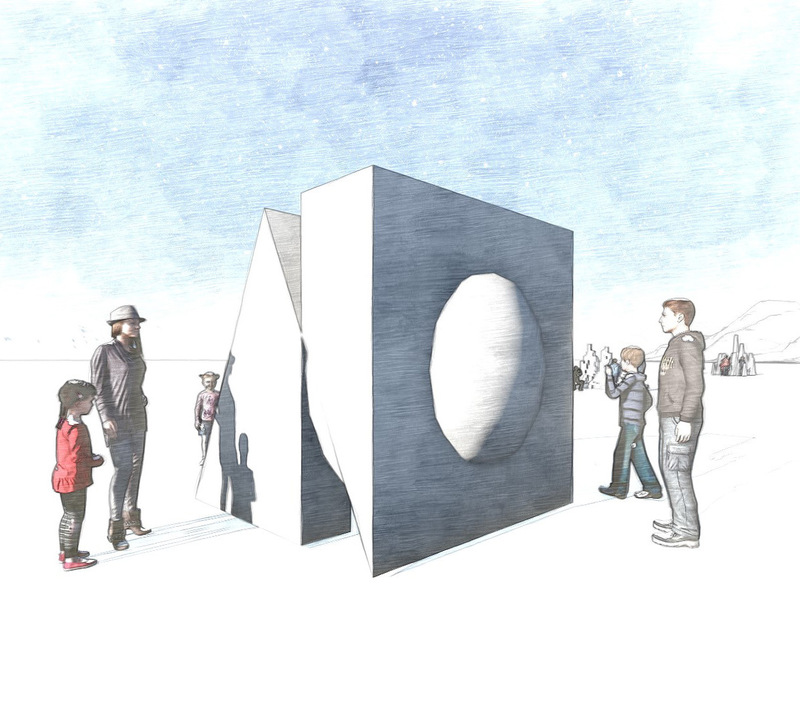 Our team’s winning sculpture, Futura!, is an exploration of this idea. It combines and intersects the simple forms of a sphere, cube and triangle so that each form has an ideal viewpoint, even as it responds to the other two shapes. Kudos to the Peak Season team! (from left to right): Mathew Smith, Anna Reynoso, Alex Griffin, Cortney Woller, Jenny Narrod, Sean O’Bryant, Jenny Trumble, Justin Ping.